A new filing with the U.S. Securities and Exchange Commission reveals that Philip Hempleman’s Ardsley Partners has reduced its stake in Saba Software Inc. (OTCMKTS:SABA). According to the filing, the fund has sold 25,000 common shares in one transaction for a price of $9.6 per apiece. Following the sale, the fund holds 3.15 million shares of the company. Saba Software Inc. (OTCMKTS:SABA) provides next-generation cloud solutions for talent management. Currently, the company supports more than 31 million users from 2,100 customers across 195 countries and in 37 languages. At the beginning of the year, Ardsley Partners disclosed selling 50,000 shares of Saba Software Inc. (OTCMKTS:SABA) in a transaction at a price of $12.40 apiece, owning around 3.26 million shares after the sale. Last month, Saba Software Inc. (OTCMKTS:SABA) provided an update on its business momentum and its progress on the restatement of historical financial results. In a statement, the company said that it selected financial metrics because it is not yet in a position to report detailed financial results for its third quarter of fiscal year 2014, ended February 28, 2014, as a result of its pending restatement of certain historical financial results. According to the company, new SaaS bookings grew 24% in the third quarter of fiscal year 2014 over the third quarter of fiscal year 2013 and 40 new customers were added in third quarter of fiscal year 2014. Connecticut-based Ardsley Partners was founded by Philip Hempleman in 1987. 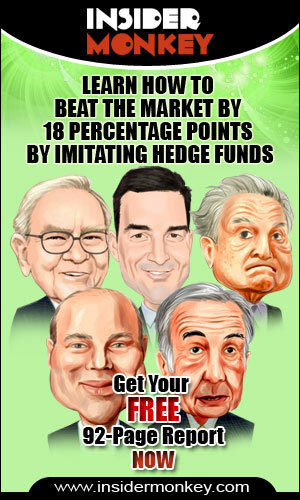 The long/short equity hedge fund has around $1 billion under management. It invests globally, but has an affinity for chemical and chemical-related companies. The fund’s equity portfolio totaled $752.6 million at the end of 2013. In March, Ardsley Advisory reported trimming its stake in World Energy Solutions Inc. (NASDAQ:XWES) to 833,000 shares from around 913,800 shares held in January 2014.